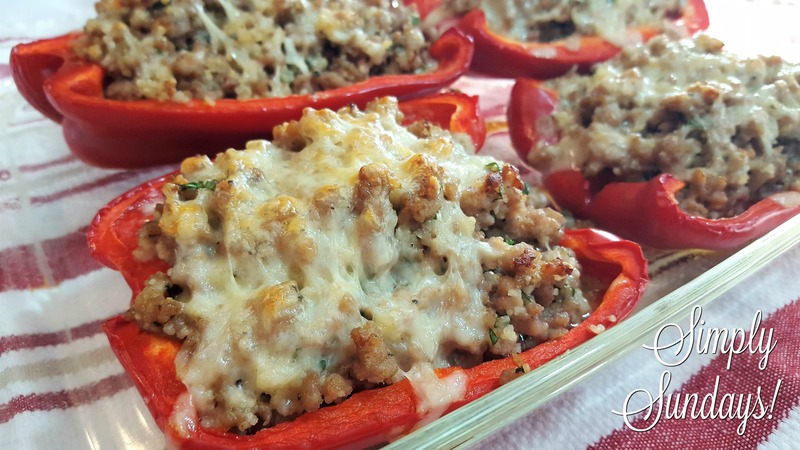 Pork Stuffed Peppers – Simply Sundays! Sounds like stuffed peppers to me! Mixed with some fresh herbs, spices and some cooked cous cous, these peppers are pretty darn good! How did they turn out Desiree? It doesn’t really matter if you cut the peppers lengthwise or just cut the tops off. The peppers I used were really big so lengthwise worked the best. I like “refrigerator contents” meal planning as much as “grocery store sales” meal planning: it makes for interesting combinations & ideas! It’s our new favorite stuffed pepper! Let us know if you try them!